Do you find yourself writing the same email again and again? How much time does it cost you to write one of those ‘routine’ emails? 30 minutes? One hour? Writing similar emails? For the sake of your productivity – can it, and get some real work done. Why are canned responses in Gmail so popular these days? You won’t need to start from scratch every moment you want to send out these emails. While you may be an advocate for the slack mojo, there are always those emails that you have to send out on a regular basis – check-ins, onboarding and off boarding. The only thing you need to do is to change a few things like your client’s name every time you send the email. In all business spheres, time is one of greatest assets. Both small and big business owners are always looking for ways to save time and get more done within a specified timeframe. Canned responses in Gmail brings up one way you can nail down one of the boring and repetitive admin tasks so you can focus your energies on what really matters. By using a saved email template for every related task, you will be potentially cutting down a one-hour long ordeal into 2 minutes long task. So you can imagine what you can achieve with all that saved time – maybe you can work on the next project instead of writing emails to them. 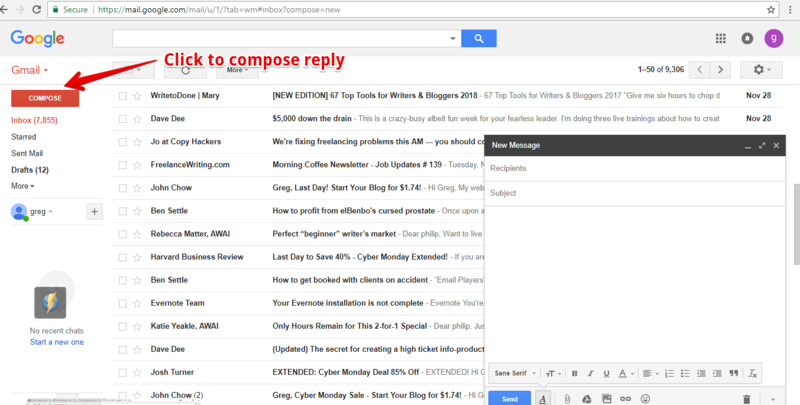 How to set up canned responses in Gmail? If you haven’t done that, it’s high time you need to get started. You just need to enable the Lab inside your Gmail account. The lab then enables you to save templates of emails you frequently send to your clients. 1. On your Gmail account click the gear icon on the top right side. Then click setting on the top-down sub-menu. 2. On the new window find and click Labs tab. 3. Under Labs search for Canned Response, click the Enable button and Save the Changes. 5. You can decide to write fresh content or copy paste an email from a previous thread. If you want you may consider highlighting or bolding anything that might change in future responses. 7. Create template for canned responses in Gmail. Select Canned Responses then select New Canned Responses. 8. Name your response. You can call it any name you want. Then click Okay. In this example, we will be calling it “Response required”. 9. Click on Compose button m open a blank email. The click at the arrow button next to the trash icon to insert the Canned Response Template. 10. 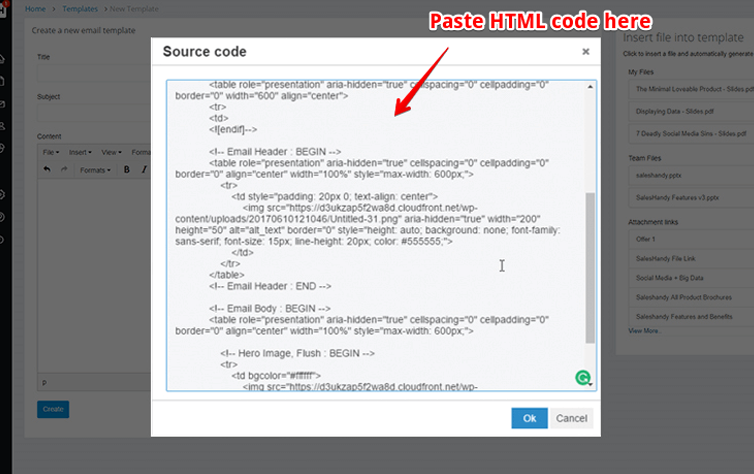 Once you have successfully created the HTML Template, you can use it in Outlook, G suite, and Gmail. 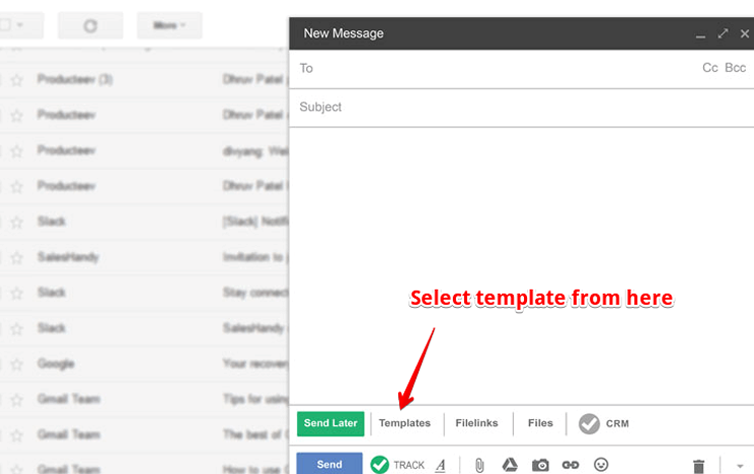 In this example, we are going to use the template in Gmail. That should be easy, isn’t it? Now, apart from sending canned responses, there a couple of benefits you can get for using Saleshandy HTML Templates in Gmail. For example, there are times when customers pose difficult questions that require complicated responses. It takes a lot of time to write these questions and have them approved by the board. If for instance, people reach out to your company asking for a sponsorship, you might decline their request if the event doesn’t fit into your company’s identity. SalesHandy allows managing corporate approved answers that explain the difficult question in a click of a second. So you don’t have to ‘climb’ the off-putting corporate bureaucracy looking for answers. SalesHandy also helps measure the success rate of each email sent and notifies you when the document is opened, the number of document opens and the documents where readers are spending time on. While canned response give you a better, faster way of dealing with the ‘routine emails’, they can also dent your reputation. Poorly crafted (and often not fact-checked) canned responses they lose the personalization aspect and thus could train the relationship between you and your client. 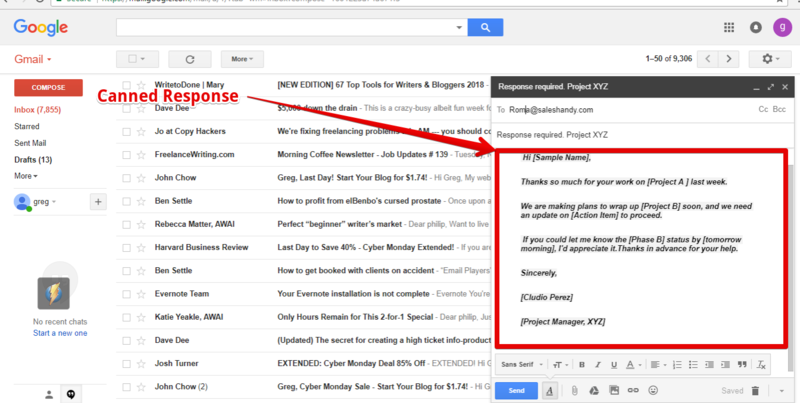 Now you have how to set up canned responses in Gmail and know how canned emails can be a blessing if you use them well. They will help cut the time and energy you spent inbox-digging. Using Gmail Lab feature called “canned responses” you can easily can repetitive emails, ensuring that your energies and efforts are directed to other important tasks. 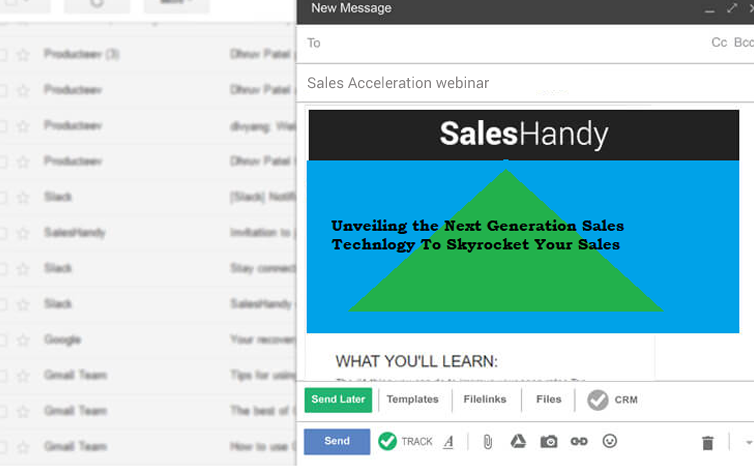 Using SalesHandy email templates, however, brings more functionality to your emails and thus improving your productivity. A team of technophiles and marketing geeks who love to explore new market trends and follow emails everywhere. Making your emails work for you is their only goal!